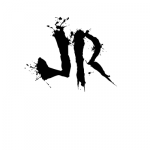 So, as we don't have a poll to work from for this weeks list it looks like we're back to random JR's opinions based lists, which is fun. So, Doctor Who. A television institution since the 60's, al-be-it with a break in the late 90's/ early 2000's, the show has seen its popularity sky rocket since it was re-launched in 2005, to heights possibly even greater than its peak in the 70's. Adopting an episodic approach, as opposed to the serialised format used during the original run, the show has managed to craft some truly fantastic stories within 45 minutes (or 90 minutes in the case of two-part episodes). But which is the best episode? Well, might as well right? Of course, these are just my opinions, if you have your own, good for you. One ground rule before we get started, I'm counting two-parters as a single episode, as it's just a single story stretched out over a longer period of time. Personally, I'd say Series 5 is the best series they've done since the re-launch. 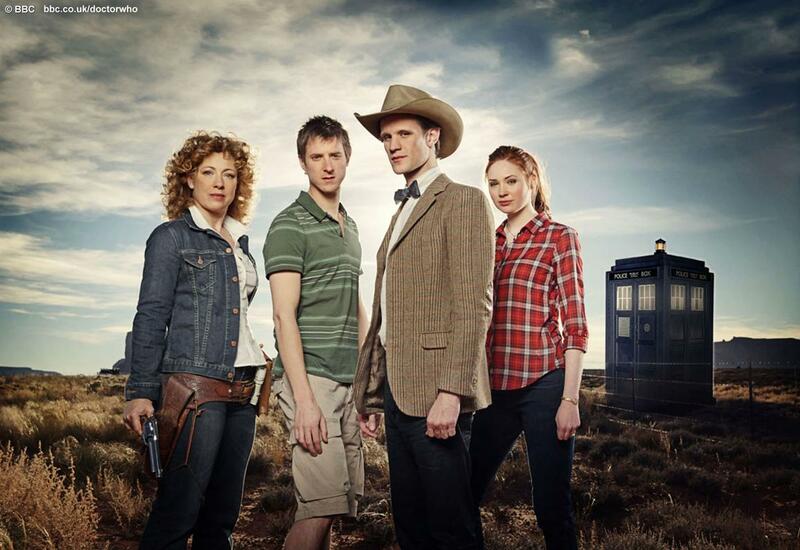 Matt Smith is one of, if not THE, Best Doctors the show has ever had and the rapport the three leads had was perfect. But what makes this episode stand out then? Well, it actually isn't the best episode from that particular series (we'll get to that later), but this episode really allowed the dynamic between its cast to shine. You had the play off between the life that Amy and Rory could have if they stayed on Earth, versus the life they have travelling with the Doctor. Add the wrinkle of "which is real and which is the dream?" and the two separate dangers, one an active danger (possessed old people) and the other a passive danger (freezing to death in a powerless TARDIS whilst orbiting a cold star), you had an excellent juxtaposition that really leaves the audience in the same position as the characters they're watching, confused and unsure exactly how it is all going to play out. As the title suggests, the episode is all about which world Amy would choose, and the ending really affirms how strong of a character she was and how strong her love for Rory was, that she would even chose death over living without him, neatly foreshadowing the duo's eventual departure from the series. Throw in a magnificent turn from Toby Jones as the malevolent Dream Lord (in a one time roles that quite honestly would have been welcomed had it become a more substantial role throughout the series), as well as a very interesting look at the Doctor's own perception of himself and his actions, and you have an almost perfect episode. The only problem is Rory's ponytail. Bowties might be cool, but that ponytail is not, no matter what he says. Series 6 had a lot to live up to coming off of series 5. The finale of the previous series had left a lot of questions unanswered and people couldn't wait to see where the series went next, so the new series had to start strong and it did. Set in America and centring around the most momentous event in recent history, the moon landings, this two-parter started the series at rocket speed. Introducing a new villain in the shape of the Silents and adding further to the mysteries of the last series, the episodes are a fantastic example of Steven Moffets writing at its best, taking a mundane fear (in this case wrapping up a Cold War style paranoia of being unwittingly controlled by an unseen force alongside the idea that forget something vitally important if you are distracted for even a second, like forgetting where your keys are after you put them down a few minutes ago only much worse). As with all of the Smith/ Gillan era episodes, the cast work together wonderfully, adding Alex Kingston as River Song is always welcome and the quartet play off each other exceptionally. However, it is the Silents who steal the show here. Whilst it is unfortunate that the Silents suffered from the law of diminishing returns over their life-span in Doctor Who (the more they appeared the less scary they became, which isn't good for a monster specifically created to be "the next Weeping Angels"), in these episodes, they are used to perfection. Their Grey Alien inspired design alongside the Men-In-Black suits fits the 60's era of the episodes perfectly, their fleeting appearances and memory wiping abilities make each appearance more impactful and makes the build up to each appearance more tense. And to conclude the story, the Doctor uses the Silents own abilities to defeat them, which is a nice, self contained ending done in a very clever Doctor-ish manner. We've covered this episode recently in our "Best Doctor Who Christmas Specials" list, where it placed first, so there isn't much further to say about the episode. Matt Smith is, as always, on form, Strax plays an excellent comedic foil and steals the show on multiple occasions, Clara is more enjoyable in this episode than in most of her runs as her Mary-Sue qualities had yet to be realised and the episode sees a welcome return of a classic villain in the form of the Great Intelligence, as voiced by Sir Ian McKellan (he of X-Men and Lord Of The Rings fame). 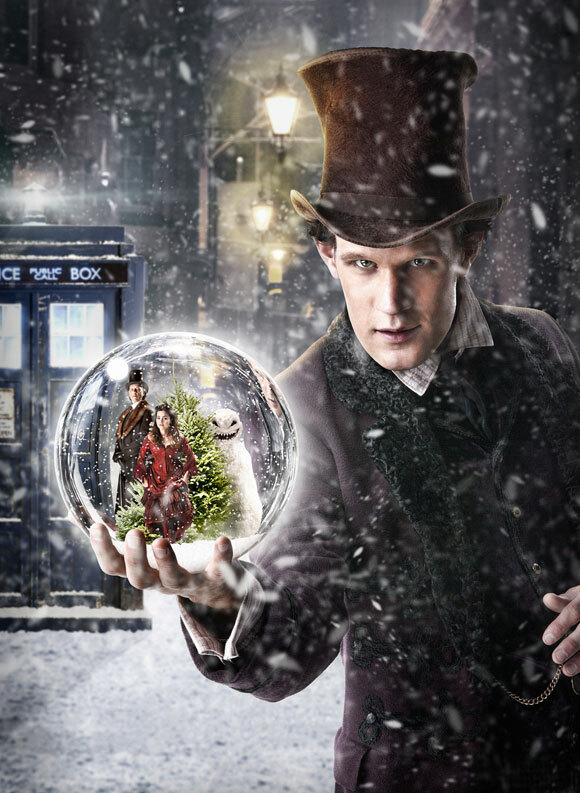 All of this combined with an excellent script and story that manages to be Christmassy without being cheesy and dark without being overbearing, you then have the best Christmas Special and one of the best episodes of the "New Who" run. Considering that one of the main selling points of Doctor Who is that the show deals heavily with Time Travel, there are surprisingly few instances where we see the effects of changing a timeline. We will often hear about "fixed points in time" from the Doctor, things that cannot be changed, and when the Doctor does meddle in history it often ensures that history lines up in the way it is known to have, thus saving any bothersome explanations. However, this episode is one of the rare ones that deals entirely on the effects of breaking the laws of time and changing history. 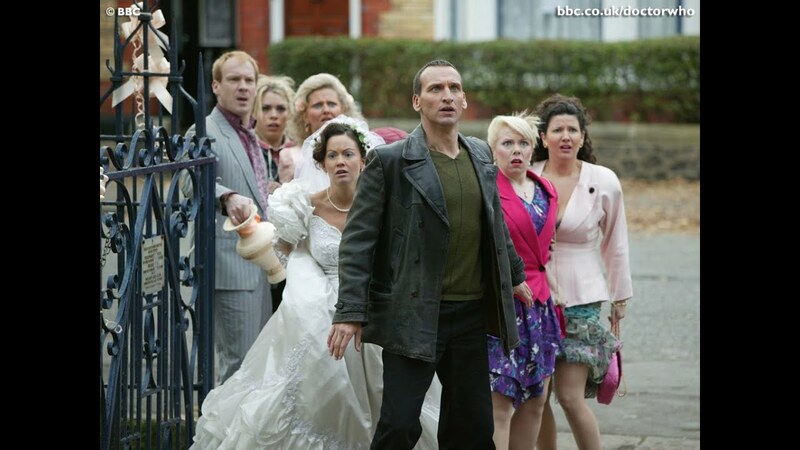 The best episode of Christopher Eccleston's run, ironically it is at its best when he is absent. Dealing with Rose Tyler saving her father from the accident that killed him, thus changing time and unleashing The Reapers (wraith like creatures that feed on the damage done by changing history), the episode is driven by the character stories of Rose and her Father and eventually it Pete Tyler who saves the day by sacrificing his life. 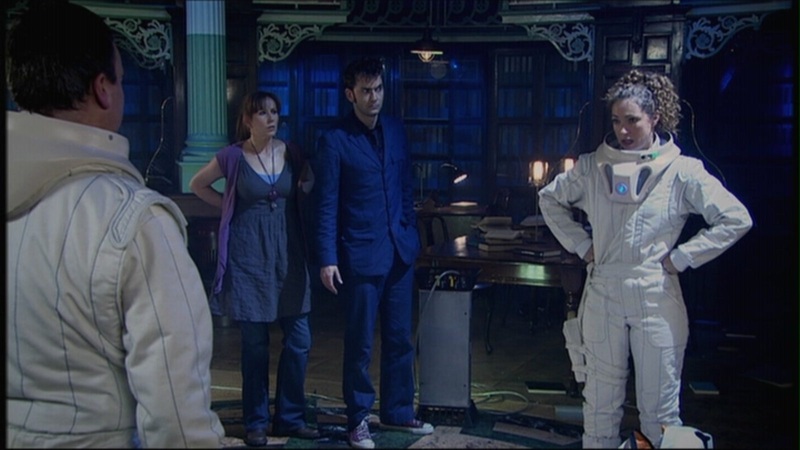 The episode humanises the Doctor, showing that even he cannot solve every problem, furthers Rose's character arc and sets up a number of threads that are returned to in the following series. One of the most beautiful episodes that Doctor Who has ever done, this episode, like all great art, is full of both sadness and joy. Focusing on the life of Vincent Van Gogh, an artist tortured by mental health issues and misunderstood in his own time but venerated and revered today, the Who team approach the subject of the mans illness with great respect and dignity and the portrayal by Tony Curran is magnificent (helped by the fact that the likeness was very noticeable). The scene of Van Gogh in the art gallery is pitched perfectly, seeing a man who was never given the credit he was due in his life shown how much his art would be loved in the future is a fantastic emotional crescendo and then the realisation in the next scene that the Doctor and Amy in fact couldn't change history makes the whole thing even more bittersweet. Of course, the alien threat in this episode is somewhat of an after-thought, but the story and the characters more than make up for a weak villain. We haven't had much Tennant yet have we? Um, in fact we haven't had any. Oh well, we have some now, but once again it's a Moffet penned episode. Moffet's signature when creating new villains is to play on a base child-like fear and extrapolate it. In the Empty Child he played on the fear of losing someone, with the Girl In The Fireplace he used both the fear of the monster under a childs bed and the fear of being watched and the with The Eleventh Hour he played with the fear of something you cannot see, a trick he would repeat with The Impossible Astronaut. But in these episodes he played with that most primal and basic of fears, fear of the dark. By setting up a situation where darkness its self is deadly and that in every shadow could be lurking a swift and painful death, Moffet tapped in to a fear that is one of the most prevalent in the world. And then he added skeletons in spacesuits with horrible repeating voice lines just to add to the scare factor and give the kids something to imitate in the playground the next day. Oh, and plus this episode introduced River Song, which is nice. "Don't blink. Blink and you're dead. They are fast. Faster than you can believe. Don't turn your back. Don't look away. And don't blink. Good Luck." So, you know how I said Steven Moffet love to play with people's most basic fears? Well he was at it again in this episode. Introducing a villain that was so scary that it toppled the Dalek's off of the number 1 perch when the BBC did a poll to find viewers favourite Doctor Who villain, which is amazing considering that they're entire shtick is that you never see them move, but that is just what makes them so terrifying. Whilst they would become more deadly in later series (and develop a taste for snapping necks and tearing out cerebral cortexes to use as translators) the basic idea of the Weeping Angels is still one of the most chilling that Doctor Who has ever produced. They are as emotionless and without pity as the Daleks or the Cybermen but they are the death that you can never see coming, if you even blink you are dead, but at least they kill you nicely (well, until they decided that neck snapping was the way to go). They are so good that in this episode, their first ever, they even get the Doctor. The tension in this episode carries it, and makes it scary enough to the point where you forget that, for a Doctor Who episode, the Doctor is in it for all of 10 minutes out of the 45 and most of that is in an admittedly excellent video tape based discussion about the nature of time and how it is both timey-whimey and wibbley-wobbley as well as being non-linear and ball shaped. This episode was written by Neil Gaiman, need I say more? No, cool. Next! Ok, ok, I'll actually talk about the episode. So yeah, penned by Neil Gaiman, this episode sees the Doctor actually get to speak to his TARDIS (the titular "Wife") when its consciousness is transferred into the body of a human and the TARDIS shell is hi-jacked by a living moon called House (not voiced by Hugh Laurie unfortunately, they missed a trick there). And then hijinx ensue. Gaiman is, deep down, a horror writer at heart and this episode shows that by being very, very dark. We have the fact that the Doctor is essentially summoned to a TARDIS graveyard thinking he was going to find some other Time Lords but was in fact tricked and his friends kidnapped. Those friends are then tortured by House in some of the creepier moments the series has had. I have to give props to the lighting and sounds guys here because they do a very good job with the atmosphere on board the House TARDIS. 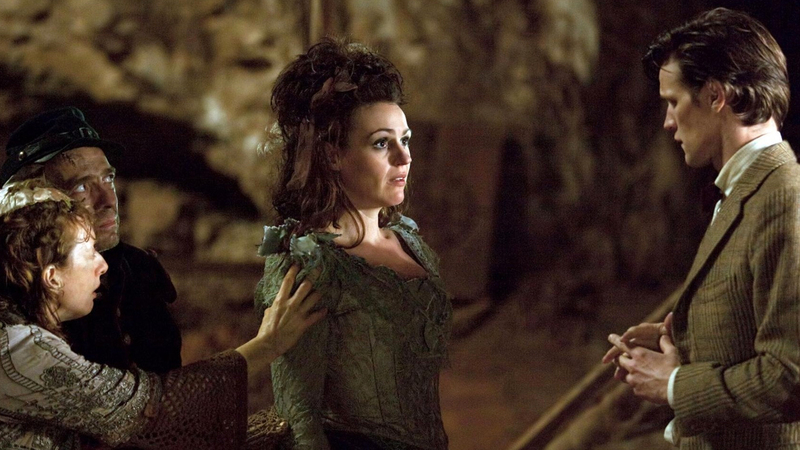 Featuring the usual excellent performances from Smith and co. the episode also saw a star turn from Suranne Jones as Idris/ The TARDIS in a role that was universally praised by critics. This episode was also the 6th Doctor Who episode in 7 years to win a Hugo Award for Best Dramatic Presentation. Where to start with these episodes? It seems to me like there is a recurring theme between all of the "New Who" Doctors in that they are at their best when they are required to give powerful monologues to galvanise other characters. Tennant was especially good at this, but the speech from Capaldi in the second part of this is beyond compare. Capaldi is a hard Doctor to get on with, he's very abrasive and is coming off the back of one of the most charming and likeable Doctors ever. However, this episode he nails it. He's fun, drops puns at all the right times, makes call backs to earlier series, even calling Harry Sullivan an imbecile which must have made Tom Baker proud. And then you have the other characters. 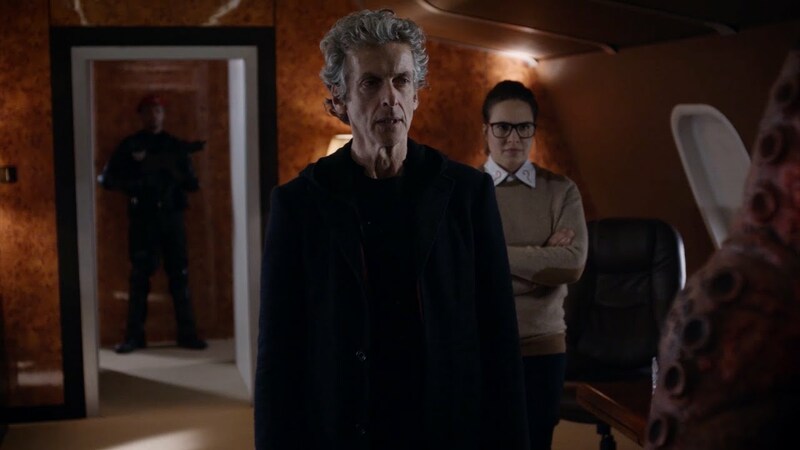 Clara is somewhat hampered in these episodes by the fact that she is replaced by a Zygon duplicate for the most part, by Coleman pulls double duty admirably and the reveal that Clara had been replaced was genuinely great. Kate Stewart might not be a patch on the Brigadier but she works well as a "always the worst case scenario" foil for the Doctor very well (still doesn't change the fact that it was stupid to send a single person to a known Zygon location without backup though). And then we have Osgood, the wonderful fan-girl/ possible Zygon, with her Tom Baker scarf and her Matt Smith bowtie and the question mark collar embroideries. So, the cast is A1 so far, but what about the plot? Well, we have a continuation from the events of the 50th anniversary episode, so that's some good continuity. There's excellent pacing with tension being built up to a crescendo in both episodes and over both episodes, so as there isn't a massive lull in momentum when watching the two back to back. Of course the narrative devise of "who can you trust" is well worn when it comes to Sci-Fi's involving shapeshifting aliens, but it adds a nice wrinkle by adding a secondary faction of the same aliens that just want peace. This also gives the story a neat political subtext in relation to anti-Muslim fear and prejudice when dealing with the war on terror. And then all of it is neatly wrapped up by the aforementioned amazing speech by Capaldi, which gives the story an impressive climax that feels huge, important and weighty without having to resort to any action what so ever, just one man saying words. But, as good as these episodes are, they're still not number one. You can argue this one 'till you're blue in the face. You can say that you don't like John Simms as The Master, that he's too hyperactive and too manic to be the same character as the megalomaniacal genius played by Roger Delgado and Anthony Ainley. You can say how stupid the Vinvochi were, how they added nothing to the actual plot of the story and the make-up looked stupid even by Doctor Who standard. And you can say how Russell T Davies relied way too heavily on being overly sentimental in his scripts and that fact had a negative impact on the show sometimes. You can say all that, you're entitled to. Thing is, I don't care. This episode has David Tennant and Bernard Cribbins giving the performances of a life-time (just watch the first scene of the final act and you'll know what I mean), sees Timothy Dalton take on the role of Rassilon: The First President Of The Time Lords, has the return of Gallifrey at its fall and serves as a magnificent send off to most of the cast and crew who brought the series back 5 years prior, with a fittingly emotional final act that seriously eclipses most of what had come before or would come after. It was a great way to end the Davies/ Tennant era of the show and gave us a brilliant final goodbye to Tennant before his return in the 50th Anniversary Special. So, that's my list. What do you guys think? Do you agree or disagree? What is your favourite Doctor Who episode since 2005? Let us know in the comments below. I would add Midnight for its sheer terror and brilliant acting; Turn Left/Stolen Earth for their concepts; and Heaven Sent for its (even more) brilliant acting. Not much of a Whovian since watching Tom Baker on Public Broadcasting in the 80s. Mind, I’m a fan but our local PBS station was very sporadic and inconsistent with scheduling. So you never knew when it was on and the episodes were never in the correct order. “Blink” is one of the scariest and creepiest things I have ever seen! What a fantastic episode. You’re right. It doesn’t even feel like Dr. Who. It’s a gaslight horror. I didn’t know that the Weeping Angels were recurring villains. Hooray, Netflix! @Candace Davenport- I never really got Midnight as an episode. I found the repetition more annoying than creepy and I felt that the lack of Donna for the majority of the episode hurt it, considering she was the best thing about that series. Yes, Tennant is great in it, but that’s a redundant phrase because he was great in every episode. But each to their own. @The Atomic Punk- Yeah, the Angels appeared three more times as primary antagonists (the two parter Time Of Angels/ Flesh and Stone and the episode Angels Take Manhatten) and twice as cameos. The twist in Time Of Angels is one of the scariest things they ever did in Doctor Who. I won’t spoil it, go watch that episode. It’s series 5 (so best series) episode 4. There’s a lot of “twists” in the episode but you’ll know what I mean about the scary twist when you reach that part.